Once a student has made up their mind about pursuing a law school education, the question that is at the forefront of his or her mind is: “What’s next?” They wonder how they can gain admission to a great law school and what the respective admission committees are expecting. Once the requirements become clear, the application process can be a nerve-racking experience, on a grander scale than gaining admission to any undergraduate institution. Have no fear, aspiring attorneys! You have a weapon at your disposal that will take you step by step through the grueling application process on your way to the ultimate goal of admission. Ann Levine, a former admissions committee representative and law school graduate, provides the sought-after expertise on the inner workings of law school admissions committees and the application procedure. 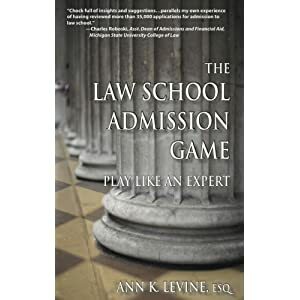 Her new book, The Law School Admission Game: Play Like An Expert, clearly outlines how to tackle each step from writing personal statement to writing those ever-confusing addenda. If you have the slightest inkling that you may want to go to law school in the future, you should purchase this book. 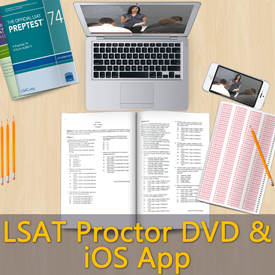 Even though the book is geared towards those applying to law school within a year and a half, the first chapter gives a very specific outline of the tasks required to gain admission to law school. This is beneficial because it allows those that are not applying for a couple of years to understand what they are getting into. If the enumeration of those tasks does not seem daunting, then allow Levine to take you through each requirement and explain what makes admissions officers shudder and what impresses them. The bottom line is that an admissions committee has to review thousands of applications each year, and because Levine was on an admissions council for a Tier 1 law school, her words of wisdom will ensure all issues are resolved before you hit the “send” button. More importantly, she will save you from feeling overwhelmed by the amount of information that you have to provide each law school. Levine also provides an important lesson regarding the “addendum” section that appears on all applications. She cites instances where students do not properly understand how to use addenda properly, and wind up making themselves appear to be very desperate to fill in the holes on their application. Students should take note of Levine’s advice on this particular subject: only write the addenda if necessary. Once students read this section of her book, they will most definitely understand the benefit of answering (or not answering) a tempting question that most students answer improperly. All in all, every student that has their heart set on applying to law school should have Levine’s book next to them at all times. Like all books that offer advice, however, the situations presented may not apply to all people, which the author immediately discloses within the first few pages. Additionally, each student that uses this book should view it as an important weapon in their arsenal to reach the goal of an acceptance to their top choice law school. Use Levine’s experience as a member of an admissions committee, an admissions counselor and a law school graduate to understand exactly what law school entails. A law student is a very peculiar breed of student, which makes the competition for success that much more difficult. A law school will only accept a student that they believe will be a great member of their alumni association. This starts with your application. As the saying goes, “you never get a second chance at a first impression.” Don’t you think you should be prepared when you hit that send button, or when you seal that envelope? Levine will provide the expertise. You provide the substance. Best of luck.